Microsoft Corp. and LinkedIn Corporation announced the other day they’ve entered into a conclusive settlement under which Microsoft will certainly acquire LinkedIn for $196 per share in an all-cash financial transaction priced at $26.2 billion, including LinkedIn’s net cash. That’s 48% beyond LinkedIn stock’s ending price at the end of the day on last Friday. LinkedIn experienced a long, multi-year run as the best-performing online social network in the stock exchange. However during the last 6 months, shares began to go down as Facebook has increased. LinkedIn will maintain its unique brand, culture and self-sufficiency. 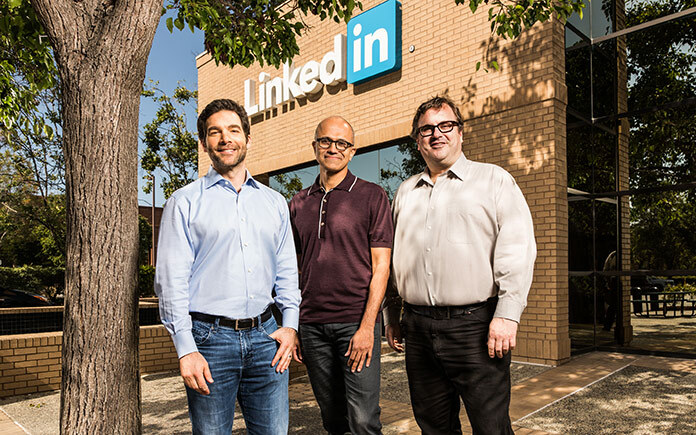 Jeff Weiner will continue to be CEO of LinkedIn, reporting to Satya Nadella, CEO of Microsoft. The deal is predicted to close this year. LinkedIn stands out as world’s largest and most beneficial professional network and continues to build a strong and growing business. During the last year, Linkedin has released a new version of its mobile app that has improved member engagement; boosted its newsfeed to provide a better business experience; purchased a major online learning platform known as Lynda.com to penetrate a different market; and presented a brand new version of its Recruiter product to its customers. For Microsoft, the deal will help it in it mission of trying to keep services like Outlook email relevant enough that customers won’t want to leave it for competitors such as Google’s Gmail.